I am an integrative biologist interested in how the ultrastructure of tissues influences their optical properties, and more specifically, how these optical properties relate to morphological and physiological mechanisms of camouflage in animals. I use an interdisciplinary approach by applying techniques in biophotonics to understand how certain organisms change color or render their bodies transparent. Currently, I am a Postdoctoral Researcher in the Natural Systems Sensing Lab at the AFRL located at Eglin AFB, working within the Department of Mechanical and Aerospace Engineering at the University of Florida Research Engineering and Education Facility (REEF). I completed a PhD in Biology in Sönke Johnsen’s lab at Duke University. Excited to co-author my first postdoc publication in the Gorodetsky Group with graduate students Atrouli Chatterjee, Brenna Norton-Baker, and Priyam Patel. Cephalopods (not crustaceans for once!) as inspiration. 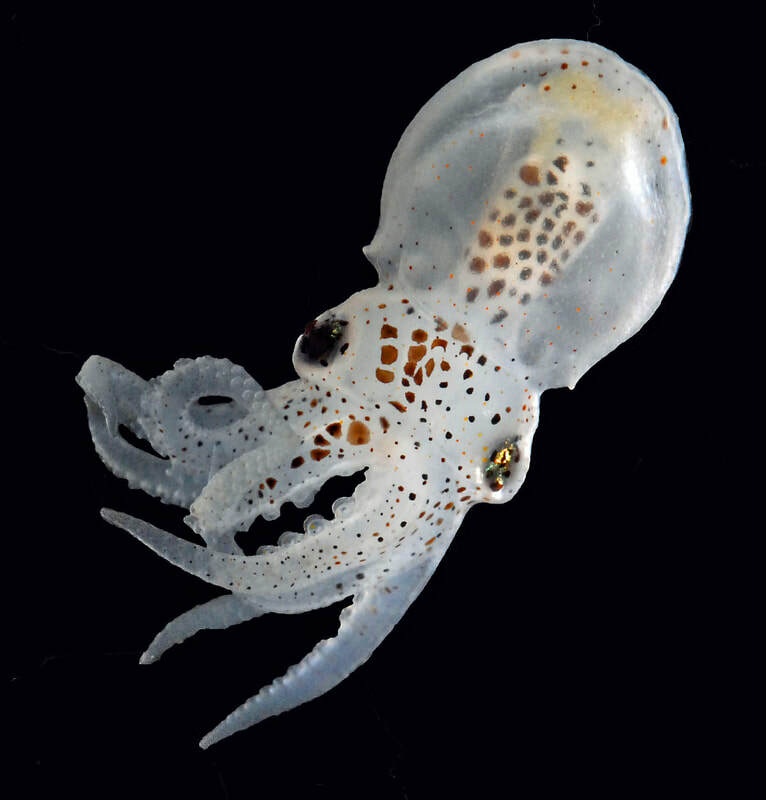 This baby Octopus bimaculoides (pictured to the left) would inspire anyone, right? 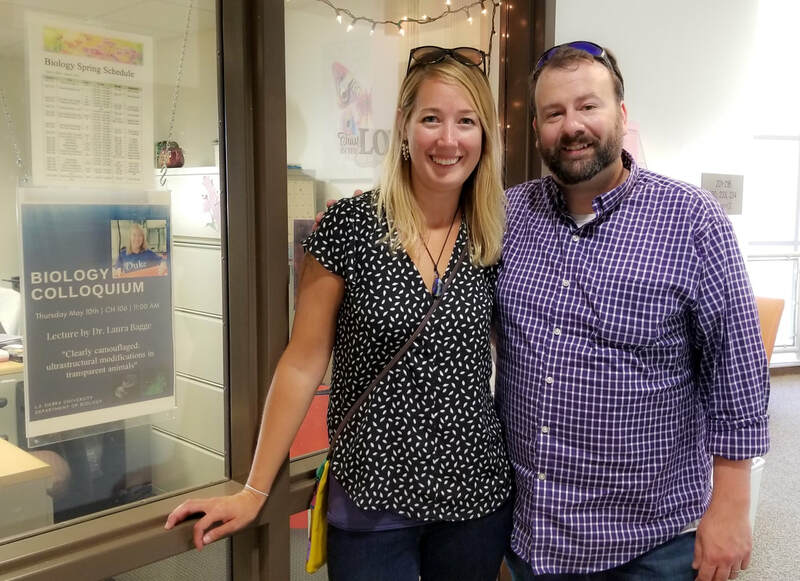 Thanks so much to Dr. Lloyd Trueblood and the Biology Department at La Sierra University for inviting me to give a talk! I had a great time meeting all the students and the octopuses! Very excited to make the cover! Read my paper: Transparent anemone shrimp (Ancylomenes pedersoni) become opaque after exercise and physiological stress in correlation with increased hemolymph perfusion. Watch a cool micro-CT scan of one of the shrimp! Read Elizabeth Pennisi's write-up in Science about this work from when I first presented the results at SICB 2016. 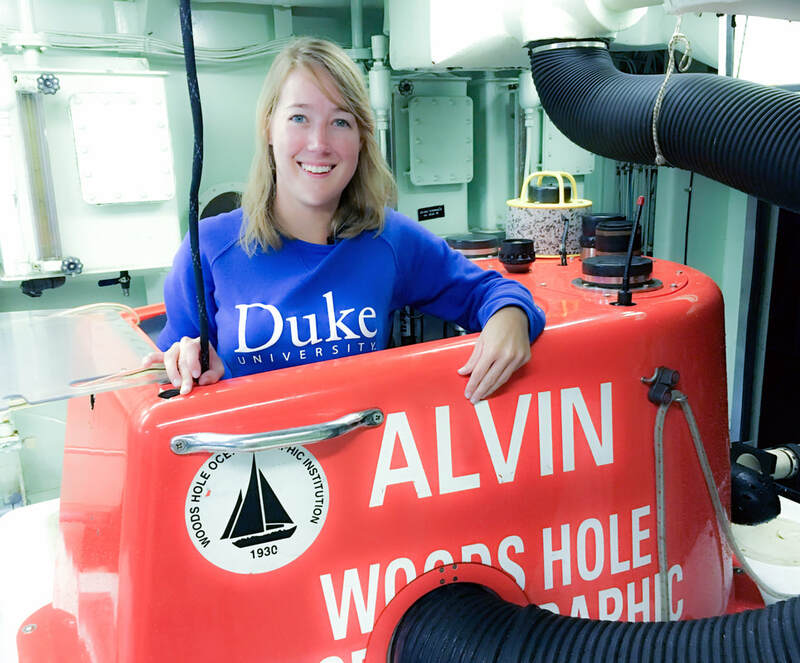 Find out about my trip in the submersible Alvin where I explored the midwater and traveled almost a half a mile down to the seafloor at Hydrographer's Canyon in the Atlantic! 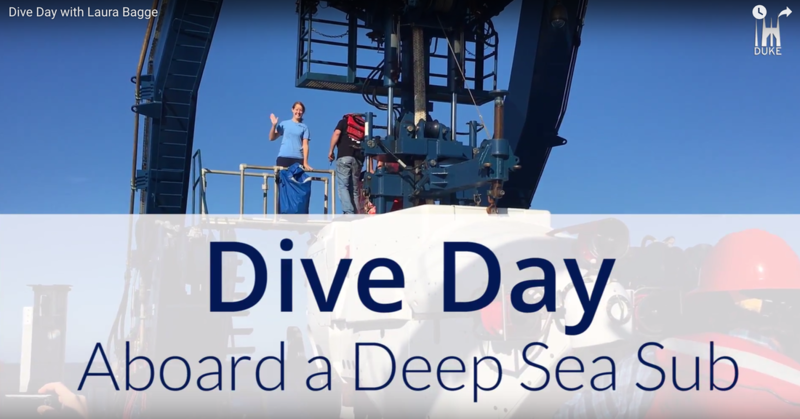 ​Read my related publication in Deep Sea Research here! Check out some press for my recent publication about anti-reflective invisibility cloaks in transparent crustaceans!